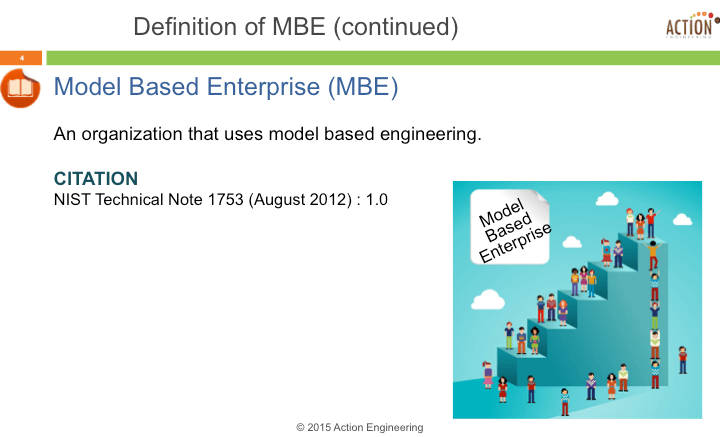 Creating a Model-Based Enterprise (MBE) with Model-Based Engineering (also MBE) is no small task. When executed well, there is clearly a tangible benefit for small and large companies as well as government organizations. 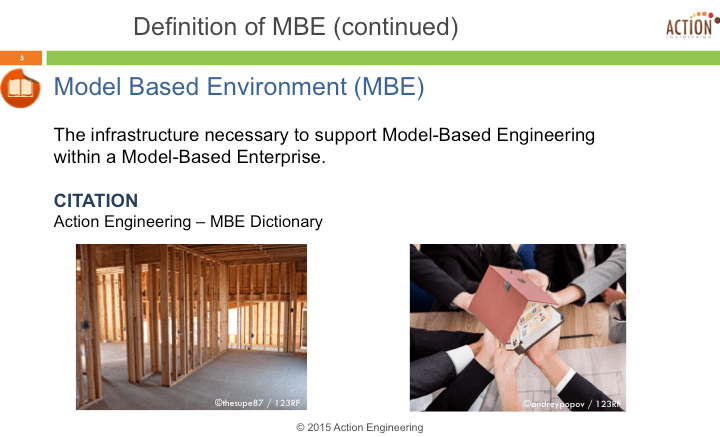 By the way, there are at least three independent definitions for the three-letter-acronym (TLA) of MBE; here is my take on each of those definitions. When implementing a Model-Based Environment (MBE) in your workplace, you will probably find it to be challenging, often overwhelming. Your brain will be swimming in the details of each software package that comprise the MBE. But is it worth it? Most definitely! 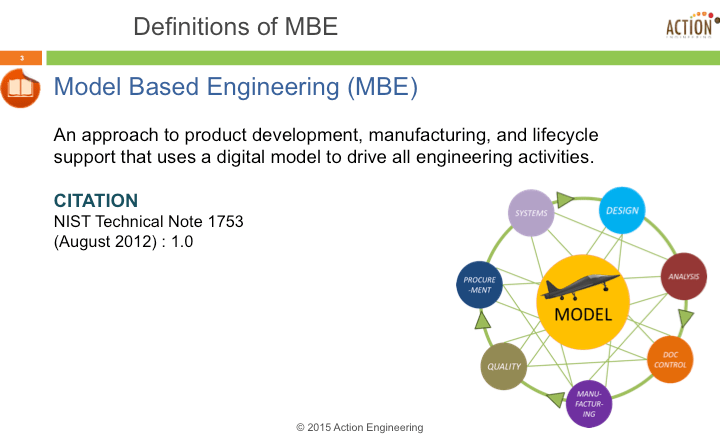 MBE drives clear communication of design intent to downstream processes, including manufacturing. However, don’t think you get there by flipping the MBE switch on your CAD software. This is a complex challenge, requiring an elegant, cross-functional, integrated organization, requiring that all stakeholders are accommodated within the new business practice. Collaboration: Clear, concise, exact communication of process design intent which facilitates sharing of the most critical information among the stakeholders responsible for design review, approval, sourcing and manufacture. Efficiency: Provides a highly accountable framework for achieving consensus on the design itself, assuring the story will be told in the “least waste way” as it is previewed in 3D. Adaptability: Data re-use possibilities are limitless and automatable. How do you currently communicate your product design, either to your customer, manufacturer, or downstream supplier? There are ways that are fast, but end up costing tons of money during manufacture or service and put your business and product reputation at risk. Proper product definition at an optimal level of detail throughout the lifecycle of a design is critical to your business success. 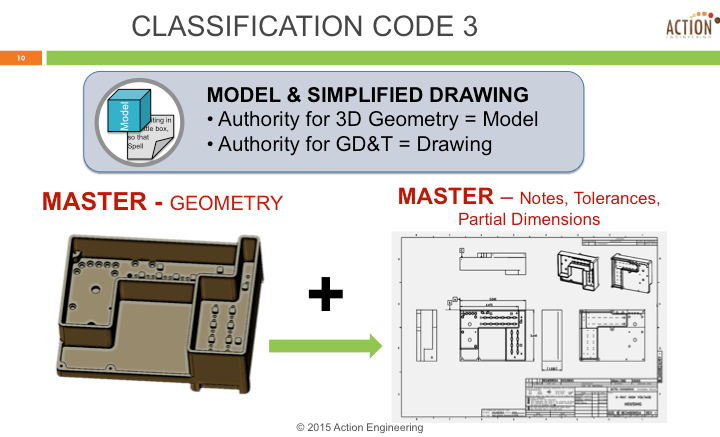 The Model-Based Enterprise (MBE) should not ONLY be focused on fully dimensioned and annotated drawings (3D Drawings). 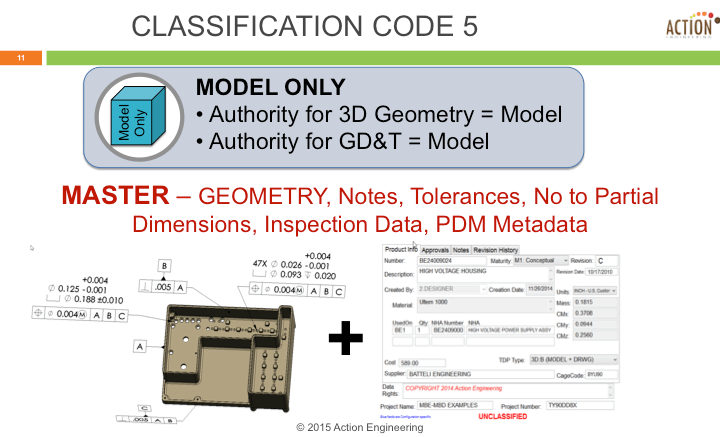 Rather, I recommend a focus on higher return on investment data set types, Model-Only (no drawing graphics sheet) or Model (MASTER of Geometry) plus Drawing (MASTER for Notes, Tolerances and Partial Dimensions). This entry was posted on Monday, July 27th, 2015 at 8:40 PM. You can follow any responses to this entry through the RSS 2.0 feed. You can leave a response, or trackback from your own site.